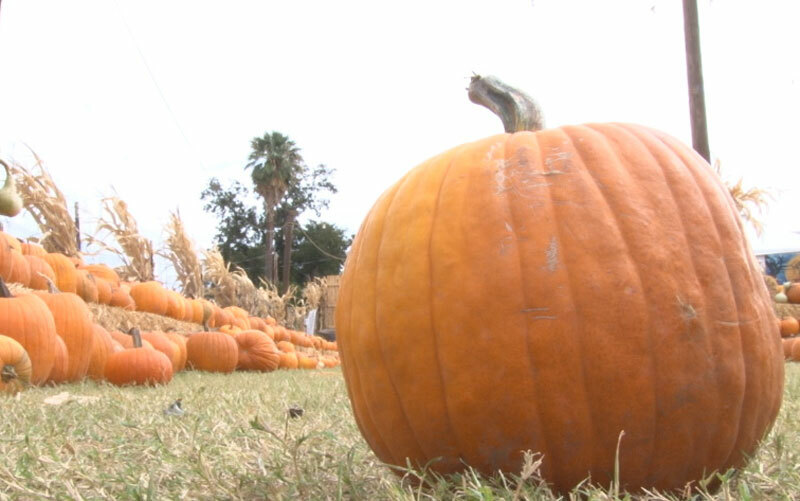 GILBERT – Halloween is days away and Thanksgiving is soon after – and the nation faces a shortage of pumpkins this year because of a recent drought in the Midwest. That means the average pumpkin price is on the rise: The U.S. Department of Agriculture’s National Retail Report said the average pumpkin costs nearly a dollar more than it did at this time last year. But that’s not necessarily a problem here in Arizona. Will you dress your pet up for Halloween this year? “Throughout the Southwest, especially in Arizona, most of the pumpkin patches and a lot of the stores buy locally,” said Wade Kelsall, the owner of Mother Nature’s Farm in Gilbert. Keeping food local helps with cost fluctuation. “I grow all of my pumpkins, so I have really good price control on what I have,” he said. At Kelsall’s farm, prices range from $3 to $15 depending on the size of the pumpkin. He said he expects those prices to stay the same for the rest of the year. Illinois grows about 90 percent of the pumpkins bought nationwide, according to the University of Illinois. But this year, a major drought hit the Midwest, meaning Illinois grew fewer pumpkins and a shortage started. The average price of one pumpkin costs $4.35 this week, according to the U.S. Department of Agriculture. That’s an increase from the $3.95 just last week. Arizona hasn’t seen a fluctuation. And Kelsall said that’s just another reason Arizonans need to buy pumpkins locally.